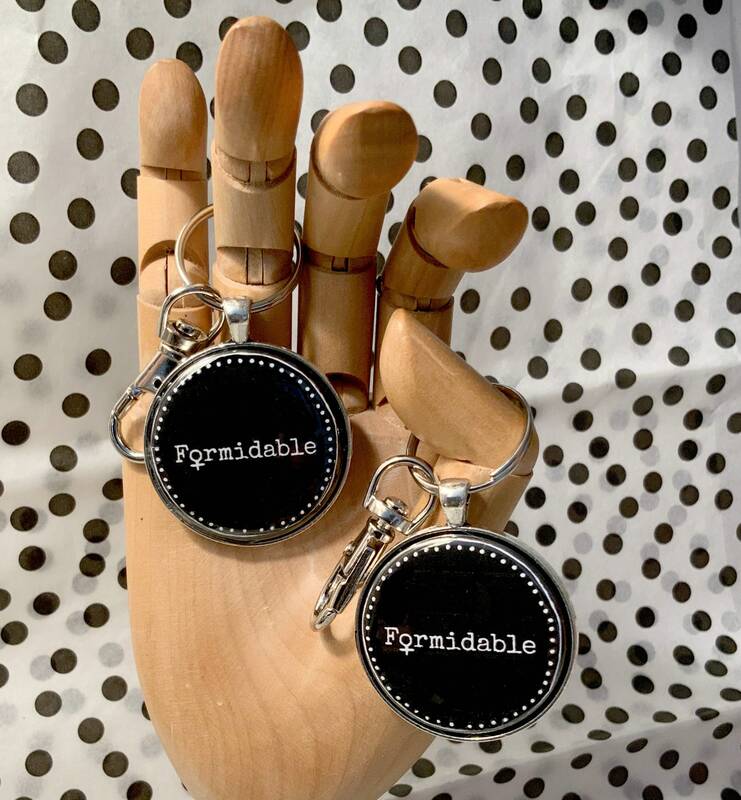 Formidable woman keychain and pendant. 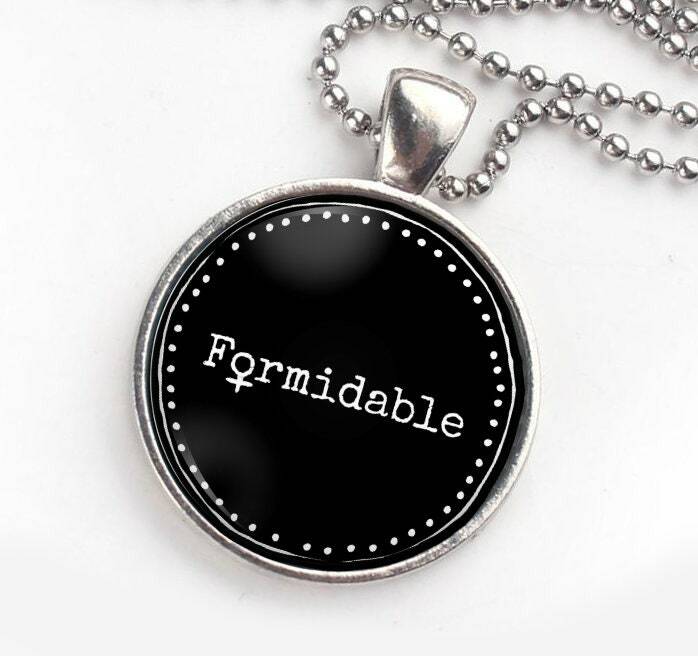 Great gift for feminist friends and family. Free Shipping to USA. 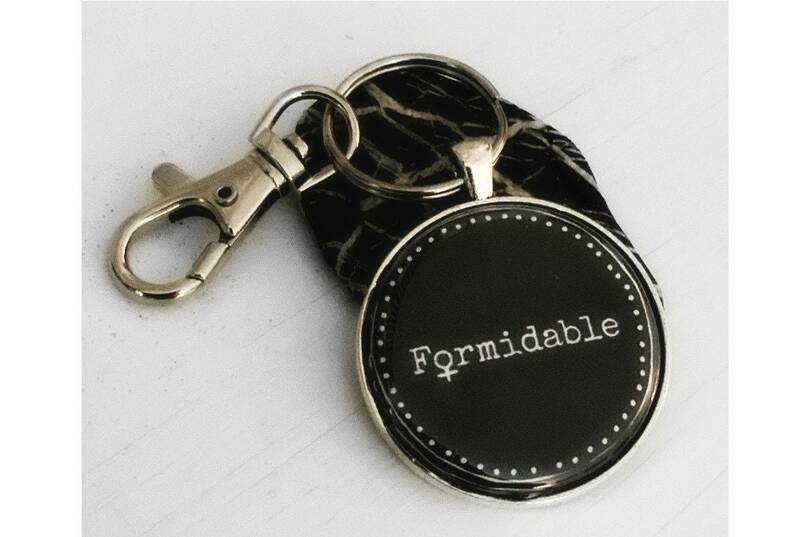 Formidable women, keychain in black and white, by Liza Cowan. Converts to pendant with 24" ball chain included in package. Perfect gift for your feminist friends and family. Also see the Formidable cup and the Formidable button, elsewhere in this shop.